Beauty: As previously mentioned, Rose Water is a must in my beauty routine. I use it daily to keep my skin hydrated and clear of blemishes and treat irritation. I have noticed a lot less breakouts, even skin tone and super soft skin since incorporating Rose Water daily. 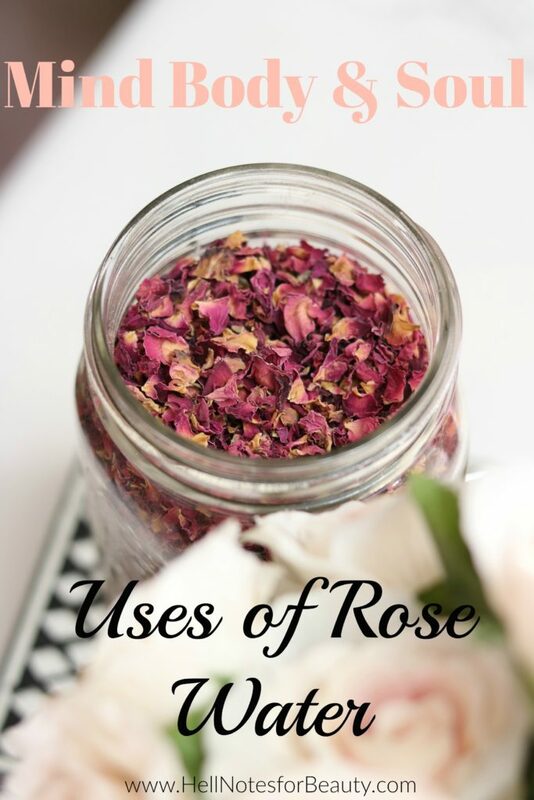 Rose Water soothes irritation as well as balance out your skin tone especially if you have a lot of redness. Rose Water also balances out oily skin and the best for sensitive skin like mine because its not like most toners which are alcohol based and very drying to the skin. Rose Water helps maintain the skin’s natural PH balance and is packed with antioxidants that help with preventing wrinkles. It also helps reduce dark circles and reduces eye puffiness. Grab a cotton ball, drench it in Rose Water and let it sit on your eyes for 10 mins. 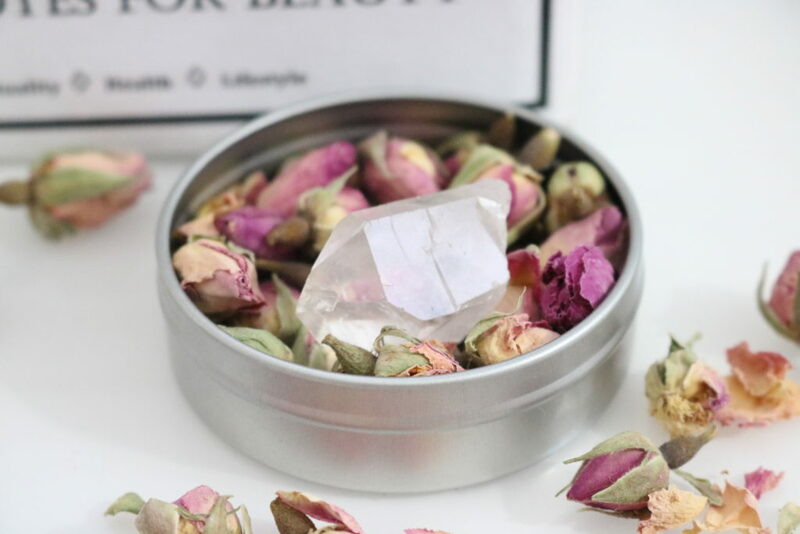 Rose Water is ideal for acne prone skin and to maintain clear skin overall due to its potent antibacterial, anti- inflammatory and antiseptic properties. So no bacteria stands a chance with Rose Water! 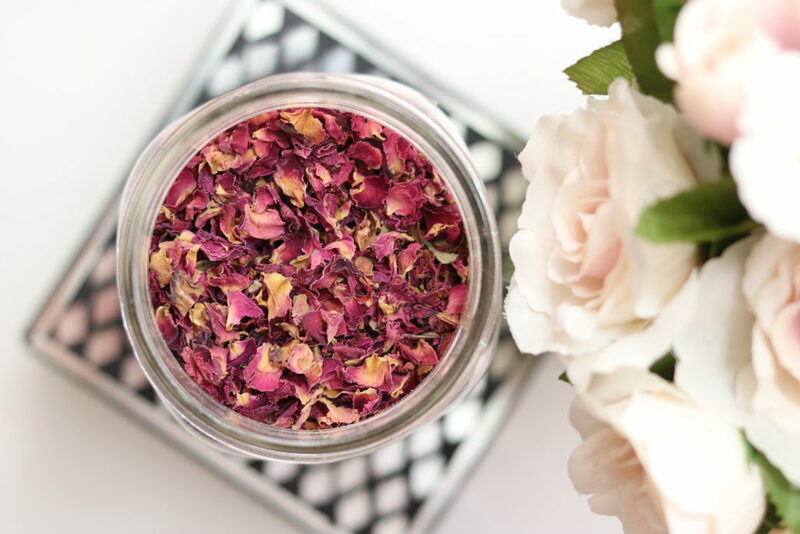 I love to spray Rose Water on my face after a sweaty workout, to minimize bacteria from breeding as well as use daily throughout the day during the hot summer months to freshen up and of course smell divine! I spray my face in the morning before applying moisturizer and makeup and spray my face in the evening as a toner and I also use it as a base for most of my at home facials. 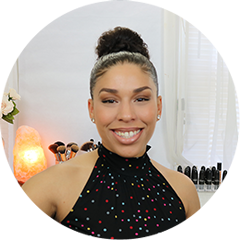 Hair: After washing my hair, I like to spritz it with a little Rose Water and Aloe Water I keep in a spritzer bottle, to not only leave my hair smelling nice, but also as a leave in moisturizer. It also helps promote hair growth and keeps my hair very soft and a lot easier to detangle. Roses have always been the primordial symbol of love and passion. 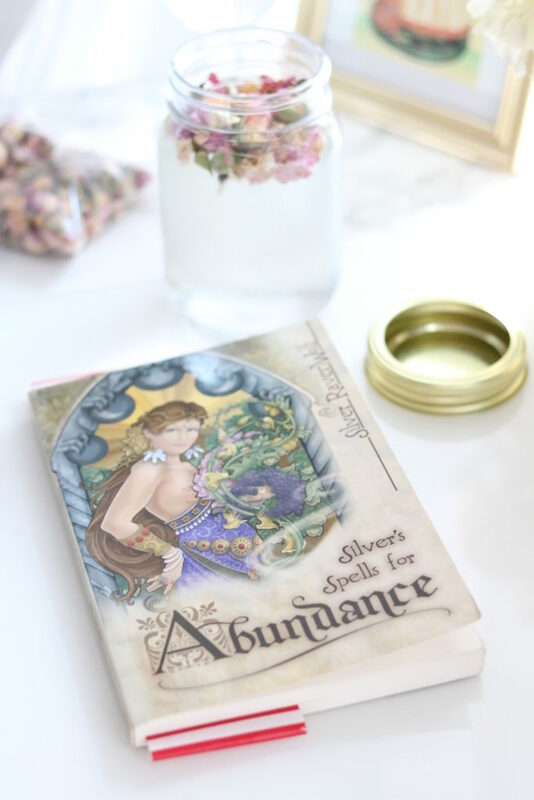 In magical spells, Roses are used for love rituals to attract love into your life. It is also good to use to clear out any space of stagnant and low energy. 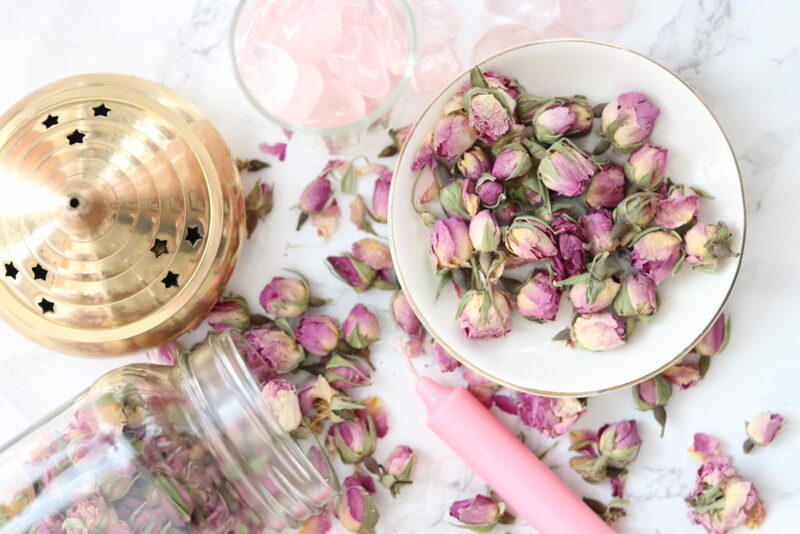 There’s so many ways that Rose Water can be used in ritual. Although roses are typically known for their love and romantic abilities, they can also be used to boost self empowerment, purification of thoughts and also encourages passion for dreams, goals and suppressed imaginations. Health: The scent of Roses is ultra soothing and calming. Keep a bottle of Rose Water in your purse to smell its scent throughout the day and indulge in its aroma therapeutic uses. Plus, rose water is also high in antioxidants and Vitamins A, C, E, and B which can be added to your water or any favorite recipe. Health wise it can also be been used to treat coughs and throat issues, heart burn, as a laxative, and to reduce blood sugar. It also may have benefits for wound healing, allergies, skin conditions and headaches due to its antibacterial properties. Aromatherapy: The scent of rosewater will help reduce feelings of stress and promote an ambiance of tranquility and harmony. I normally like to keep a bottle of Rose Water on my desk at work and at home to help keep me calm and help me focus a lot better. Doing this helps me to remember to breathe and refocus my thoughts throughout the day. It also encourages me to remember to breathe and not take things so seriously, especially if I’ve had a busy or stressful day. The scent of roses helps calm and balance emotional stresses and depression. I like to spray all of my sheets and pillows every evening before bed to help me fall asleep quicker and calm my mind of racing thoughts before going to sleep which is normally the cause of insomnia for most people. I sooooo want to add this to my beauty routine. I have heard so many things about the positive benefits that come from implementing this into your everyday skincare. Thanks for breaking this down for me. 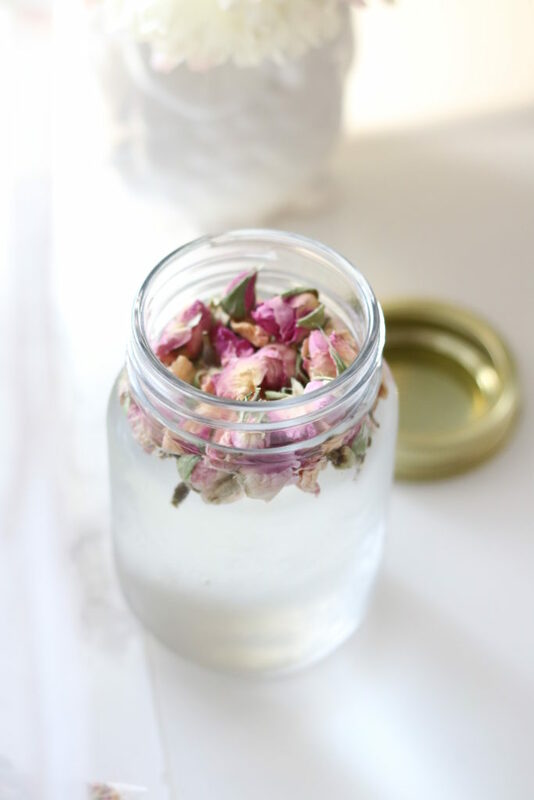 Do you have any preferred brand or place to buy your rose water? Thanks for sharing!